Van Cleve Associates has been in the ranch real estate business since 1975. We strive to find agricultural properties to suit the financial, esthetic and special interests of our clients. We have worked with clients from all over the U.S. to assist them in working into properties of interest in Northern California and Oregon that will serve their unique interests. As associates David Van Cleve, Phil Raynard and Mike Martin have the qualified agricultural background to help you find your special needs. Whether it’s cattle ranches, timberland, hunting and fishing ranches, or investment property slated for future plans, we have been successful in satisfying many individual families, developers and investors in our 30+ years in business. This versatile and economical irrigated cattle ranch is in the Sprague River Valley. Ranch will run pairs or yearlings with equal capability and ease, Asking $3.9 million. View Listing. The 16,000 acre Pettyjohn Ranch is located on the west side of Tehama County twenty miles from Red Bluff, CA on Interstate 5. It is surrounded by privately owned land and can be reached all year by paved and gravel county roads. Nestled in the foothills of the Coastal Mountains, the Atwood ranch provides a perfect setting where broodmares and foals enjoy life on 2,500 acres of native grasslands. Here is your rare opportunity to own a 127 acre ranch that joins the Pacific Ocean. 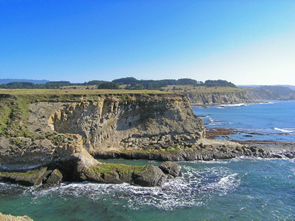 The ranch encompasses 5 parcels and lies totally within the city limits of Point Arena in Mendocino County. View Listing. The Diamond X Ranch has 9,500+ acres and lies at the south edge of Tehama County just off Hwy 99 E. It is surrounded on three sides by paved county road making it truck-accessible all year round.... View Listing. that will receive C-3 commercial zoning from Tehama County by December ’08.. View Listing. This Tehama County ranch has 383 deeded acres and is about 15 miles west of Red Bluff..... View Listing.